To get your Outlook contacts into your subscribers, you'll first need to export them from Outlook and then import them into your GoDaddy Email Marketing account. 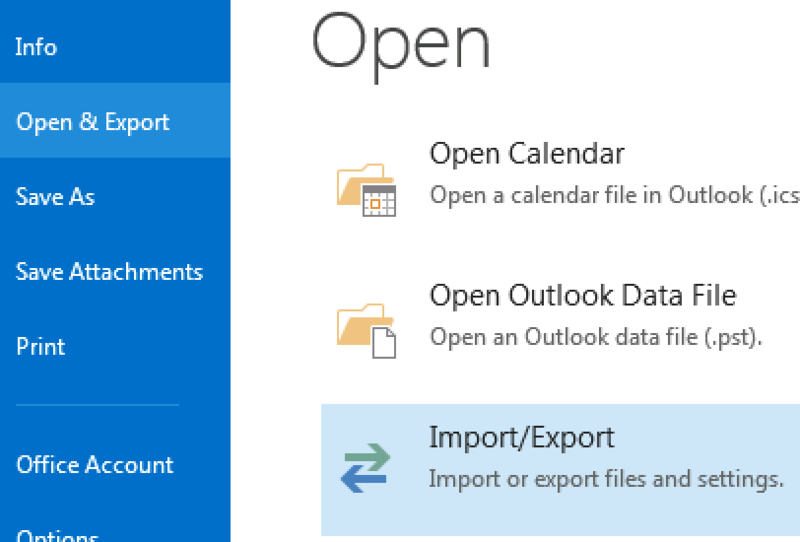 Note: You cannot export any data, if you are using Outlook 2016 for Mac or Outlook Web App (OWA). These are known issues with Microsoft. In Outlook, choose the File tab in the very top left corner of the application window. Click the Open & Export option. Then select Import/Export. 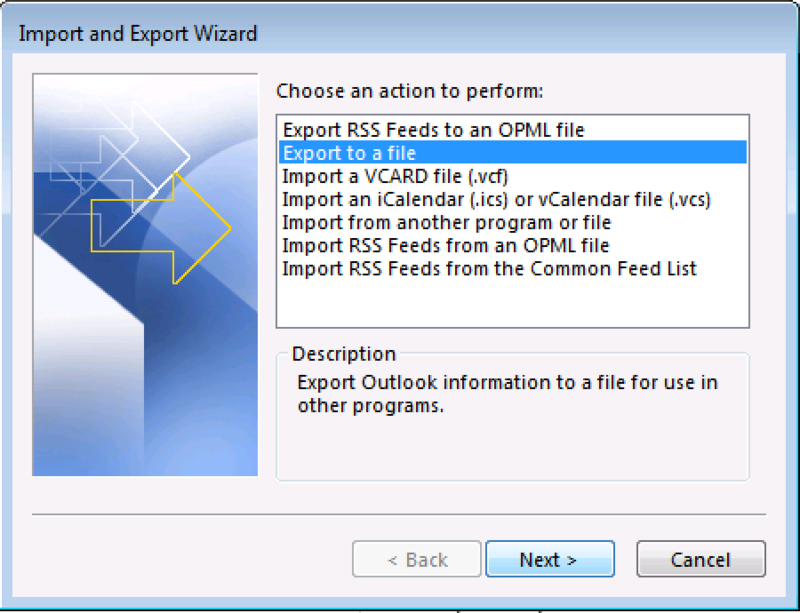 Within the wizard window, select Export to a file. Then click Next. 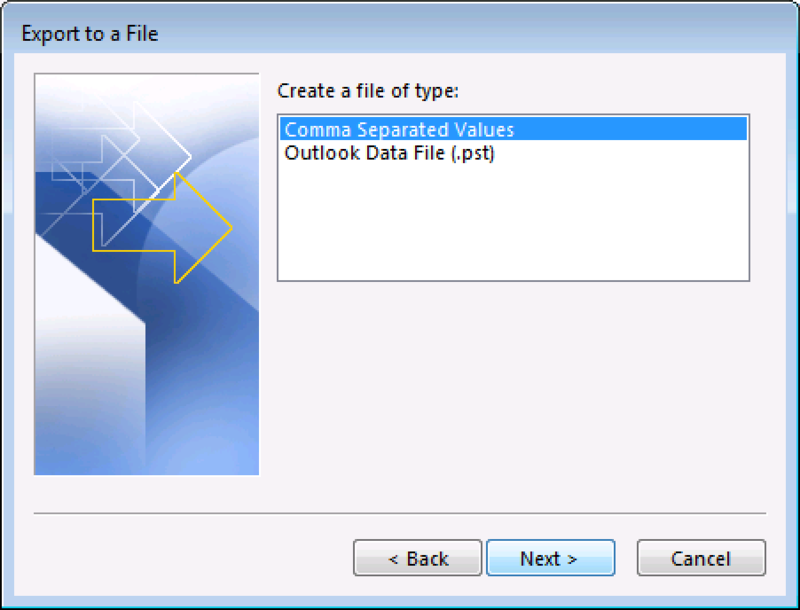 Select Comma Separated Values as the file type, and click Next. 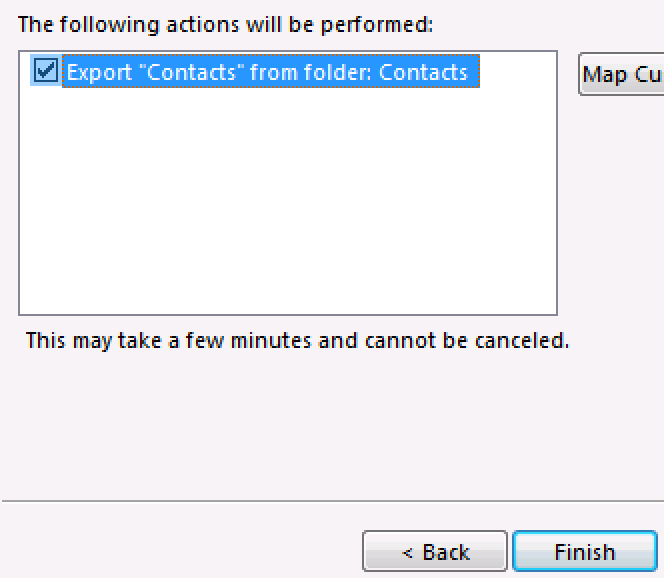 Select the Contacts folder as the folder from which to export. If you have organized your contacts into folders, you can expand the Contacts folder and choose a specific set of contacts to export. Click Next. Type in what you want to name your exported file, and then click Browse to choose the location for the file. Click Next. Be sure the correct action is checked, then click Finish. From the Many at a time tab, click the Browse button. Find the CSV file you just created, and select it.